Do you struggle to see up close? If so, you might be experiencing presbyopia, a natural change in vision that occurs after the age of 40. Your near vision may feel a bit like an out of focus camera whose image you can’t quite sharpen. If you’ve recently been diagnosed as having presbyopia your eye doctor has likely recommended progressive lenses. Progressive lenses have evolved since your parents’ generation. 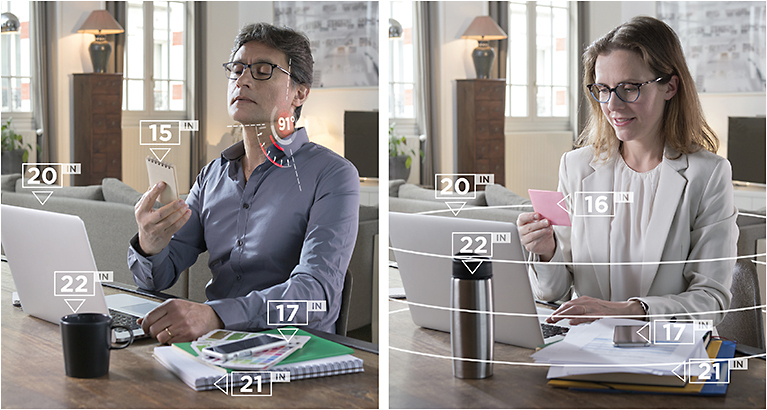 Created with today’s vision behaviours and needs in mind, the experts at Varilux® by ESSILOR have created the X series™ lens to give you 360 degrees of crisp, clear sight. The Varilux® X series™ lens is the best progressive lens on the market, providing sharp, high precision detail for objects within arm’s reach and beyond. Gone are the days of awkward tilting and readjusting, Varilux® X series™ is a modern lens that adapts seamlessly as you switch from smartphone, to computer screen and everything in between. Learn more about the benefits the Varilux® X series™ lens! Using Varilux®’s new Xtend™ technology, you’ll experience the most depth of vision and sensation of volume than ever before. From the moment you try the Varilux® X series™lens, your surroundings will look brighter and more detailed than you thought possible. The reviews speak for themselves, 9 out of 10 X series lens wearers report no longer needing to move their head to see sharp at near and beyond. Come in to West Coast Optical and see the difference Varilux® X lenses make. If you’re struggling to see up close or have noticed any recent vision changes, book an appointment with Dr. Grace Wong at office in Surrey, British Columbia. West Coast optical has been serving your eyecare needs since 1989.